I believe that I first met Roger Nelson in a conference in Princeton in 1984, the first of many conference-related meetings over the next decades. 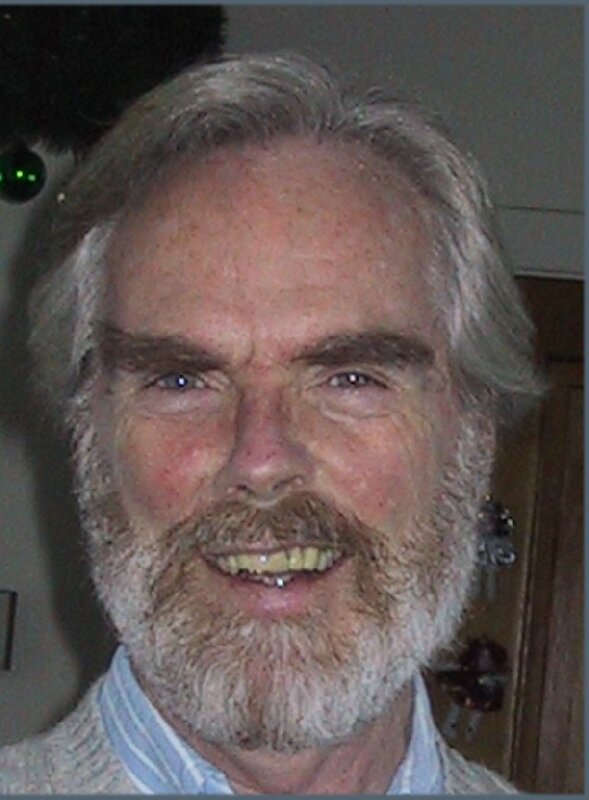 He is well-known and respected in parapsychology for many reasons, among them his work with the Global Consciousness Project, which is commented on below. Before this project he worked in the Princeton Engineering Anomalies Laboratory mainly with psychokinesis experiments involving random number generators and other devices. Roger has made many contributions, such as meta-analytical studies and the website Skeptical Concepts . Additional information about him appears in the Web. As a teenager, I was in the local library looking for other things, when I found “by chance” a book by J.G. Pratt, J. B. Rhine, and others, probably Extrasensory Perception After Sixty Years. I was impressed by the model of objective observation in a topic area that was engagingly subtle and, to my young eyes, also attractively mysterious. My friends and I set up experiments like those Rhine described, giving careful attention to design, controls and analysis. Our experiments yielded significant confirmation of the hypotheses we set ourselves to test. What was most important to my critical eye, the results were not inexplicable miracles, but marginal indicators, just over the line of credible likelihood. They looked like real, albeit tiny effects. Their subtlety satisfied my nascent scientific sensibilities, and at the same time further stimulated my curiosity. 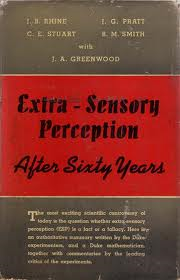 Years later, as a young psychology professor, I was asked by good students to supervise parapsychological experiments (which were quite a popular topic) and I was happy to do that, partly because it hearkened back to those early experiences. When I was invited by Bob Jahn and Brenda Dunne to help run a high tech laboratory studying these same frontier questions at Princeton University, I said yes. I arranged a sabbatical, imagining a year of concentrated work would produce some answers to the most intriguing questions. That was not enough time of course, so I took an additional year, which also was not enough. By then I was hooked, and now, more than three decades later, I have to say I’m pleased with the long series of coincidences and decisions that led me to this path. Interactions intrigue me. Linkages and functional relationships between apparently independent parts or aspects of the environment represent the deep structures that define our world. At a fundamental level, my intuitions align with the sages and seers who speak of oneness. Thus, research on psychokinesis, where mind and matter interact, and studies of remote perception which indicate that space and even time are illusions of separation are important to me. I’ve been at the leading edge of technically sophisticated PK research, developing equipment and protocols aimed to identify and specify the parameters that matter. I worked for over 20 years in the PEAR lab, developing and honing a variety of experiments. Each took years to perfect and more years to run as a refined test of the hypothesis for which it was designed. I am especially happy with the Field REG protocols that were my main work in the 1990’s, bringing psi research into the field to look at group consciousness. They made clear that coherence and resonance among people could create something new that we could detect and study: an integrated consciousness formed from shared ideas and emotions. At another level I think one of my contributions is to represent the power of patience and persistence in psi research. The lab work is one example, but an even better display of the power of patience is my extension of the technology created for intention experiments in laboratory settings into a second domain – the FieldREG studies, and then to a third paradigm with even greater reach. In 1997, I started a truly long-term experiment, the Global Consciousness Project . From the beginning it was obvious this was not research that would be done in a couple of months and written up for publication. Its premise was that it might be possible to see unexpected structure in a continuous history of random data, correlated with extraordinary moments in the history of events in the world. That experiment has been running for more than 15 years, and it shows a 7 sigma effect confirming the original prediction: we see subtle but statistically significant correlations in a network of physical random number generators separated by global distances. In addition, the huge database identifies and quantifies several parameters indicating what matters in the interactions. The scientific view complements other perspectives, practical, aesthetic, spiritual, on what the the world is like, and how humans fit. As a science, parapsychology focuses on the frontiers where our knowledge is fragmentary at best. Its role in one sense is to bring difficult and subtle issues into the domain where ordinary tools of science can reveal what was hidden but may be important aspects of consciousness. Work in this field has potentially profound implications for physics, psychology, and the grand scientific endeavor to understand our world. Most important, in my mind, is greater insight into human capacities and how we relate to each other and the environment. I believe the evidence from parapsychology clearly shows that mind is creative in a literal sense; that what we wish and intend and envision can have direct effects in the world. I am sure my view on this question is shared by most professional parapsychologists. The field is too small for the cross-fertilization and mutual development that is common to scientific research and application. We have at best very limited resources, which is a constraining factor in conducting research, and of course this makes it a tough field for young people starting careers. Probably most important, we are hampered by limited imagination and a tendency to be circumspect and cautious. On the other hand, given our small numbers, we have outsized achievements, and have made remarkable progress toward establishing solid foundations for future research. Yet, we have serious challenges, and need to focus intelligence on some few fundamental issues, especially the factors that determine replicability. We must figure out what actually matters in producing or preventing psi effects. Nelson, R. D., Jahn, R. G. and Dunne, B. J. (1986). “Operator-Related Anomalies in Physical Systems and Information Processes.” Journal of the Society for Psychical Research, 53, 261-285. Jahn, R. G., Dunne, B. J., and Nelson R. D. (1987). “Engineering Anomalies Research.” Journal of Scientific Exploration, 1, 21-50. Dobyns, Y. H., Dunne, B. J., Jahn, R. G., and Nelson, R. D. (1992). “Response to Hansen, Utts, and Markwick: Statistical and Methodological Problems of the PEAR Remote Viewing (sic) Experiments.” Journal of Parapsychology, 56, 115-146. Dunne, B. J., Dobyns, Y. H., Jahn, R. G., and Nelson, R. D. (1994). “Series Position Effects in Random Event Generator Experiments, with Appendix by Angela Thompson.” Journal of Scientific Exploration, 8, 197-216. Nelson, R. D., Bradish, G. J., Dunne, B. J., and Jahn, R. G. (1994). “A Linear Pendulum Experiment: Effect of Operator Intention on Damping Rate.” Journal of Scientific Exploration, 8, 471-489. Nelson, R. D., Bradish, G. J., Dobyns, Y. H., Dunne, B. J., and Jahn, R. G. (1996). “FieldREG Anomalies in Group Situations.” Journal of Scientific Exploration, 10, 111-141. Nelson, R. D., Dunne, B. J., Dobyns, Y. H., and Jahn, R. G. (1996). “Precognitive Remote Perception: Replication of Remote Viewing.” Journal of Scientific Exploration, 10, 109-110. Nelson, R. D. (1997). “Wishing for Good Weather: A Natural Experiment in Group Consciousness.” Journal of Scientific Exploration, 11, 47-58. Jahn, R. G. Dunne, B. J., Nelson, R. D., Dobyns, Y. H., and Bradish, G. J. (1996). “Correlations of Random Binary Sequences with Pre-Stated Operator Intentions.” Journal of Scientific Exploration, 11, 345-367. Dobyns, Y. H. and Nelson, R. D. (1997). “Empirical Evidence Against Decision Augmentation Theory.” Journal of Scientific Exploration, 12, 231-258. Nelson, R. D., Jahn, R. G. Dunne, B. J., Dobyns, Y. H., and Bradish, G. J. (1997). “FieldREG II: Consciousness Field Effects, Replications and Explorations.” Journal of Scientific Exploration, 12, 407-454. Atmanspacher, H. A., Boesch, H., Boller, E., Nelson, R. D., and Scheingraber, H. (1998). “Deviations from Physical Randomness Due to Human Agent Intention.” Chaos, Solitons, & Fractals, 10 , 935-952. Nelson, R. D., Jahn, R. G., Dobyns, Y. H., and Dunne, B. J. (2000). “Contributions to Variance in REG Experiments: ANOVA Models and Specialized Subsidiary Analyses.” Journal of Scientific Exploration, 14, 73-89. Jahn, R. J., Dunne, B. J., Dobyns, Y. H., Nelson, R. D., and Bradish, G. J. (2000). “ArtREG: A random event experiment utilizing picture-preference feedback.” Journal of Scientific Exploration, 14, 383-409. Nelson, R. (2001). “Correlation of Global Events with REG Data: An Internet-Based Nonlocal Anomalies Experiment.” Journal of Parapsychology, 65, 247-271. Bancel, P., & Nelson, R. (2008). “The GCP Event Experiment: Design, Analytical Methods, Results.” Journal of Scientific Exploration, 22, 309–333. Nelson, R., & Bancel, P. (2011). “Effects of Mass Consciousness: Changes in Random Data during Global Events.” Explore: The Journal of Science and Healing, 7, 373-383.